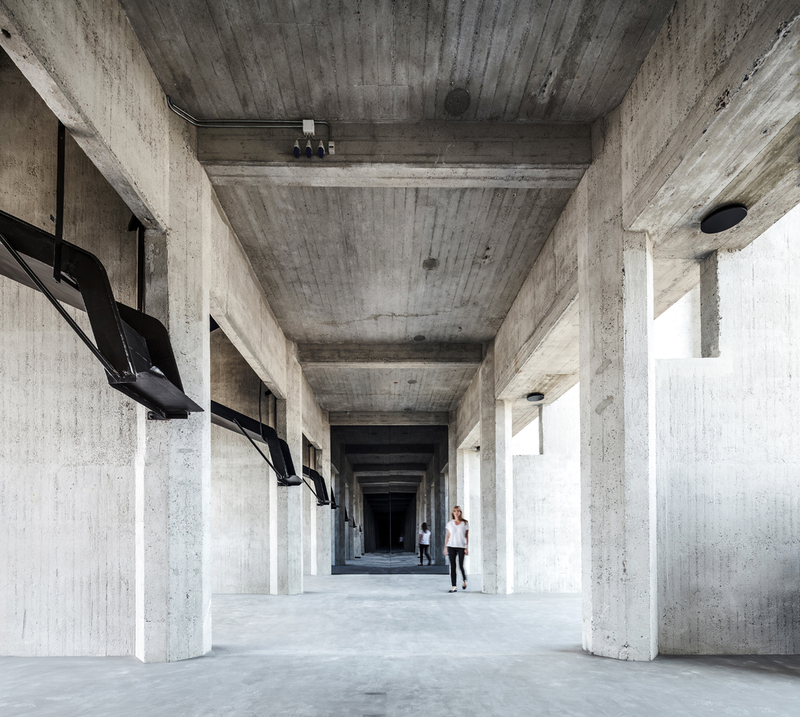 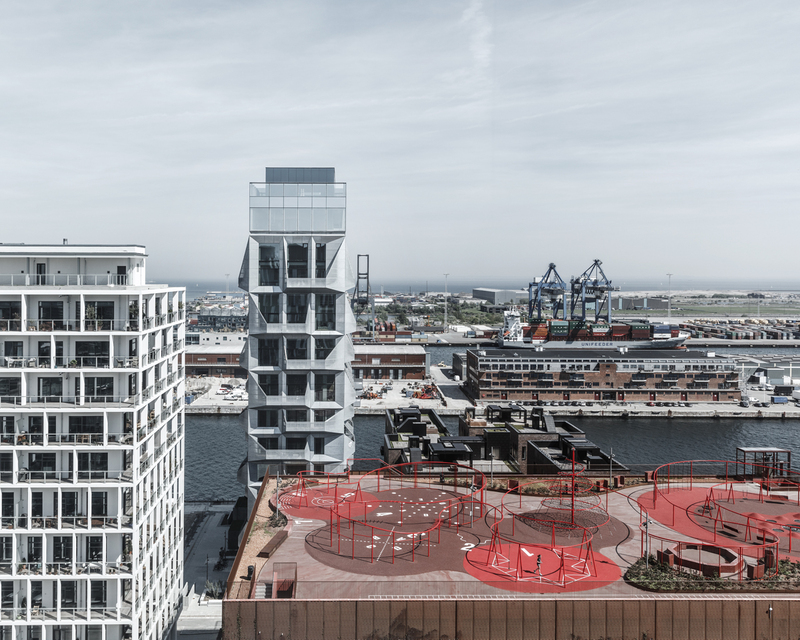 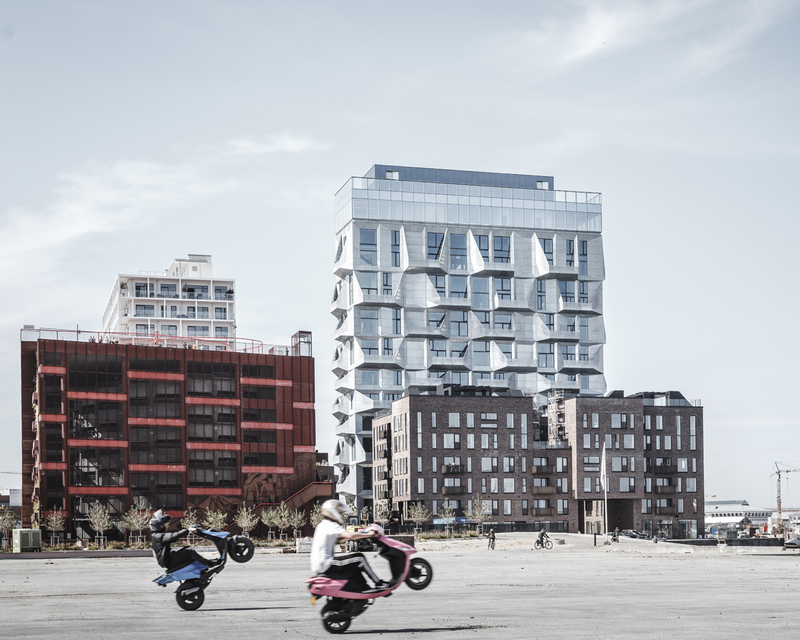 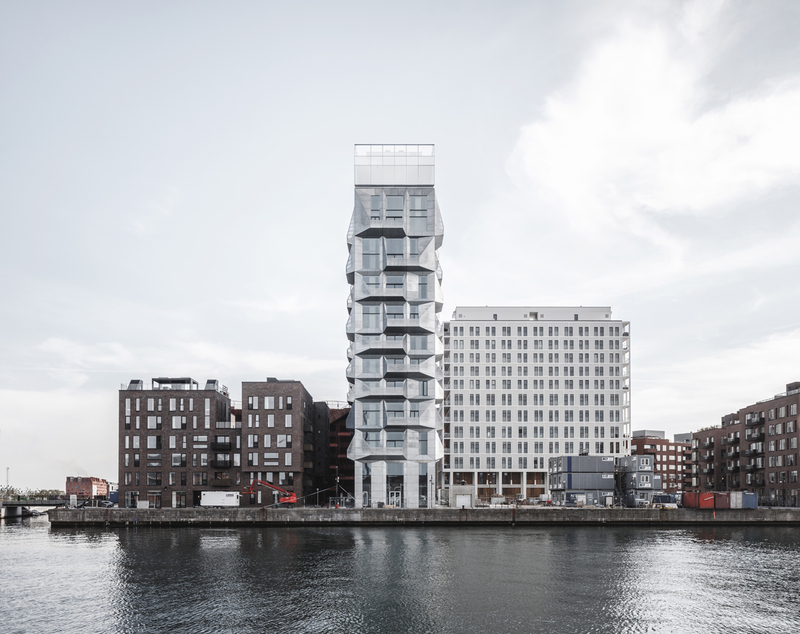 The Silo is part of the transformation of Copenhagen’s Nordhavn (North Harbour) – a vast postindustrial development, currently being transformed into a new city district. 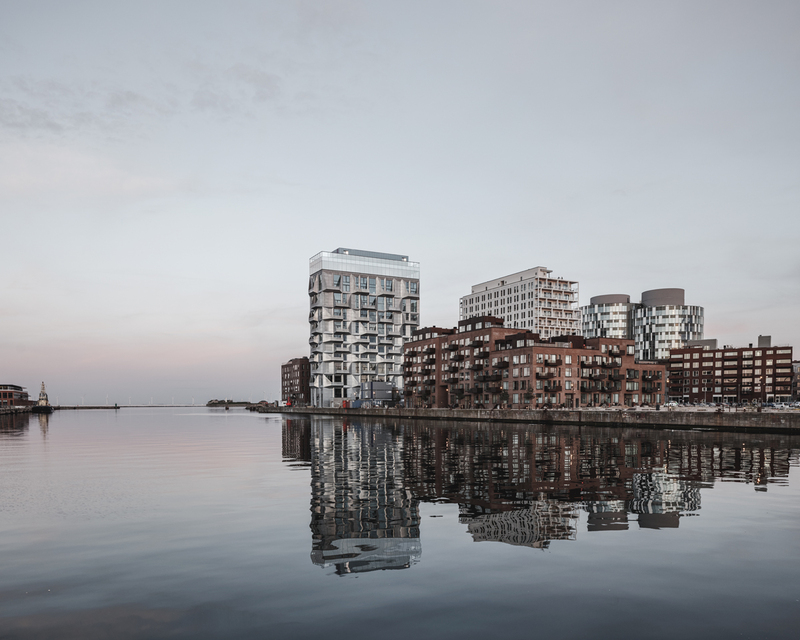 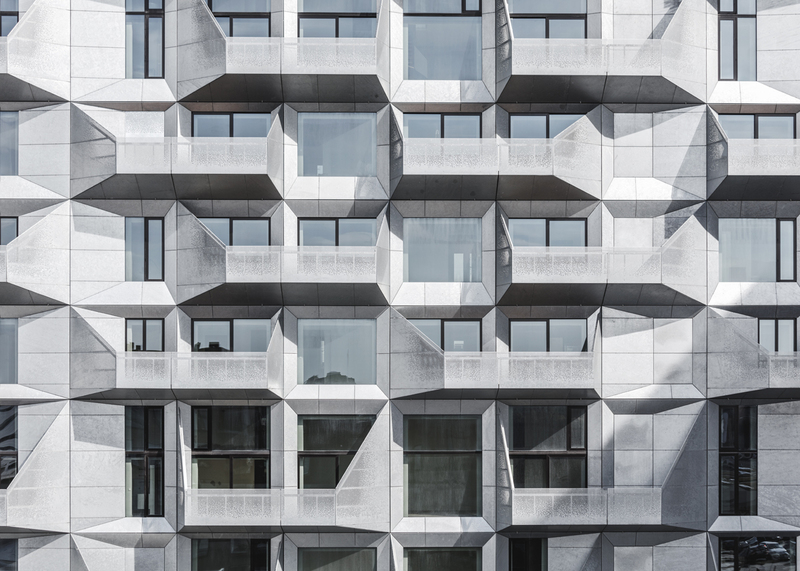 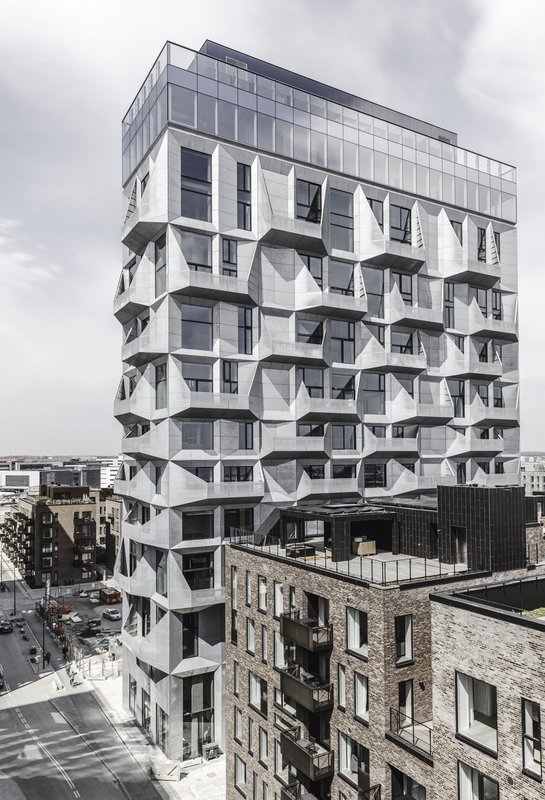 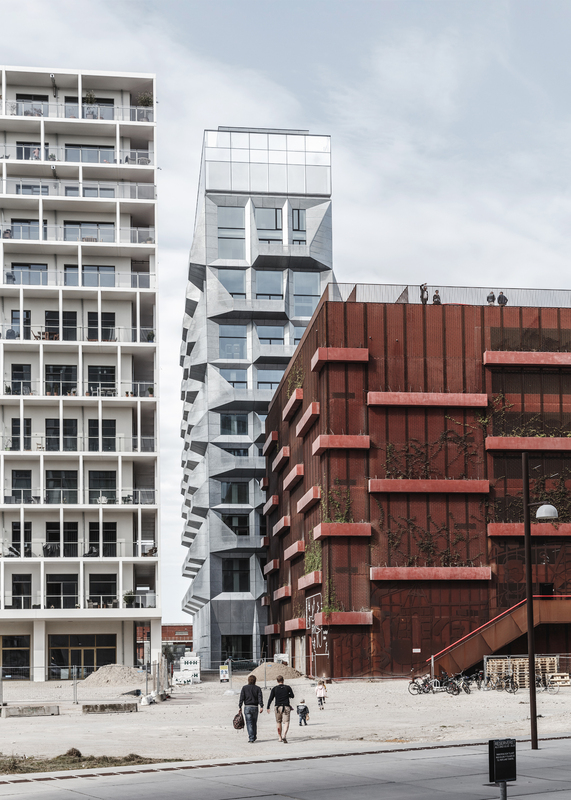 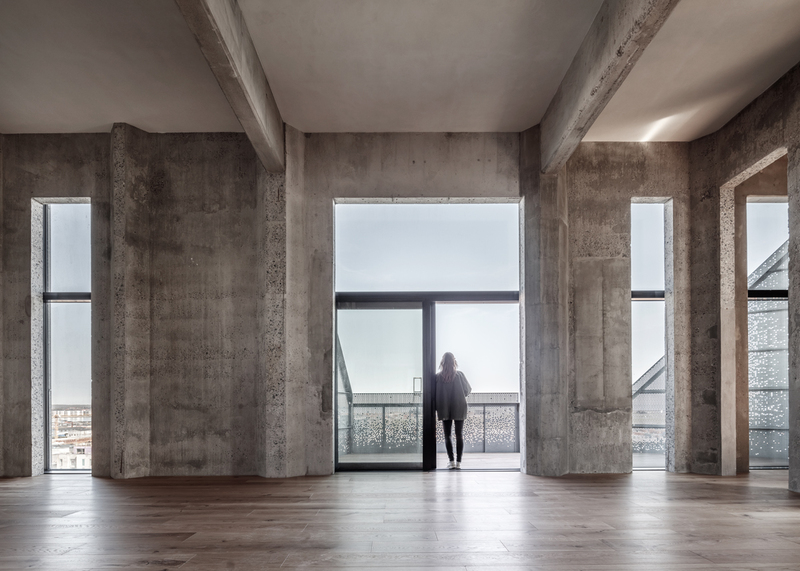 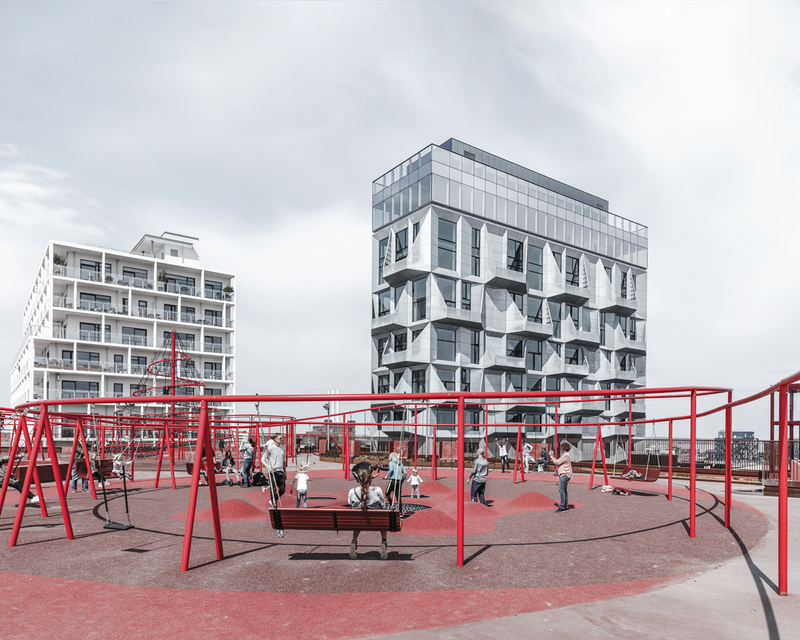 Designed by Danish architects COBE with clients Klaus Kastbjerg and NRE Denmark, a 17-storey former grain silo and the largest industrial building in the area has been transformed into “The Silo”, housing residential apartments and public functions. 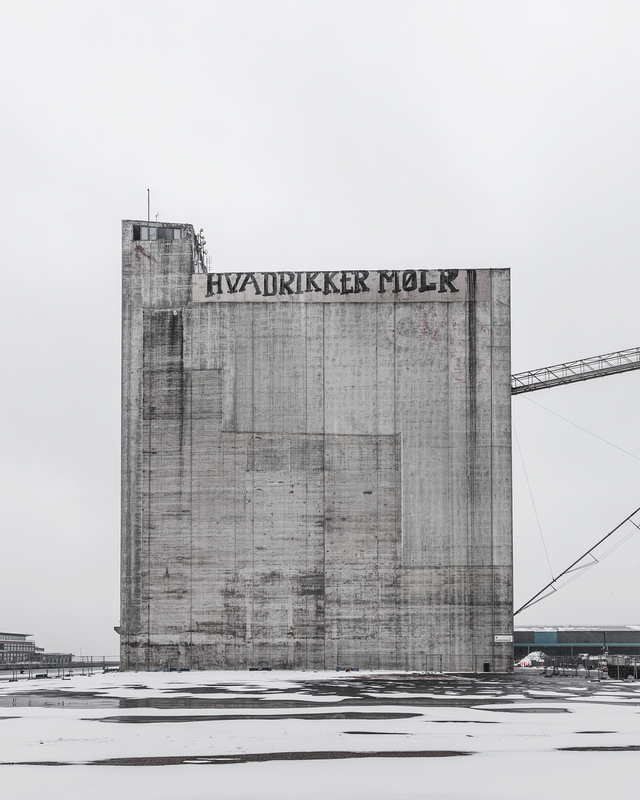 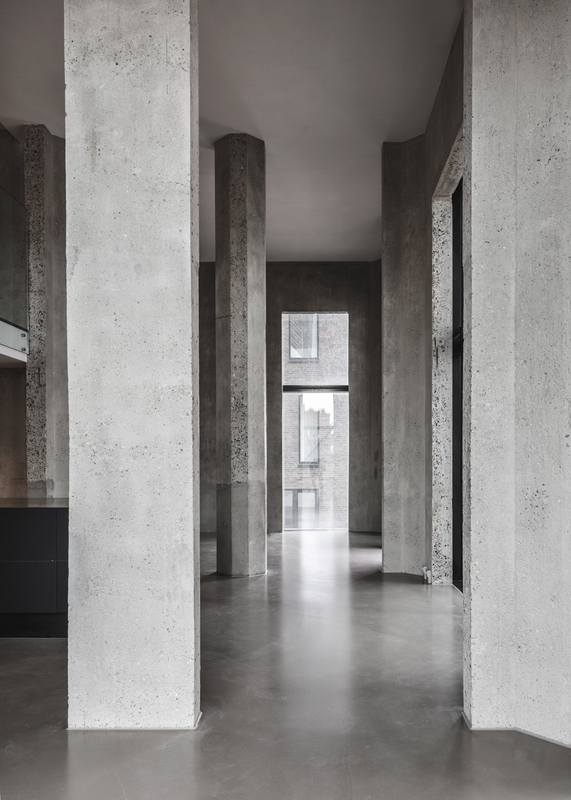 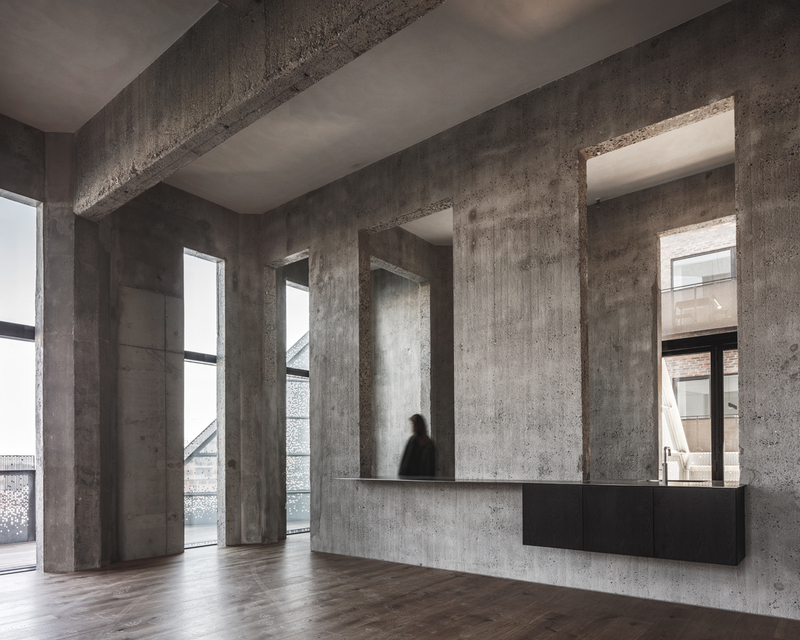 In order to bring The Silo’s industrial concrete facade up to current standards, the exterior of the existing silo has been reclad, while the interior has been preserved as raw and untouched as possible. 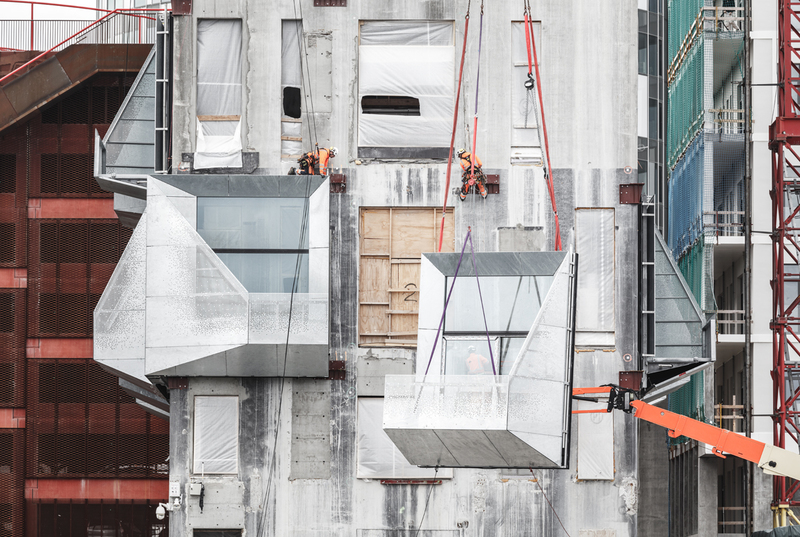 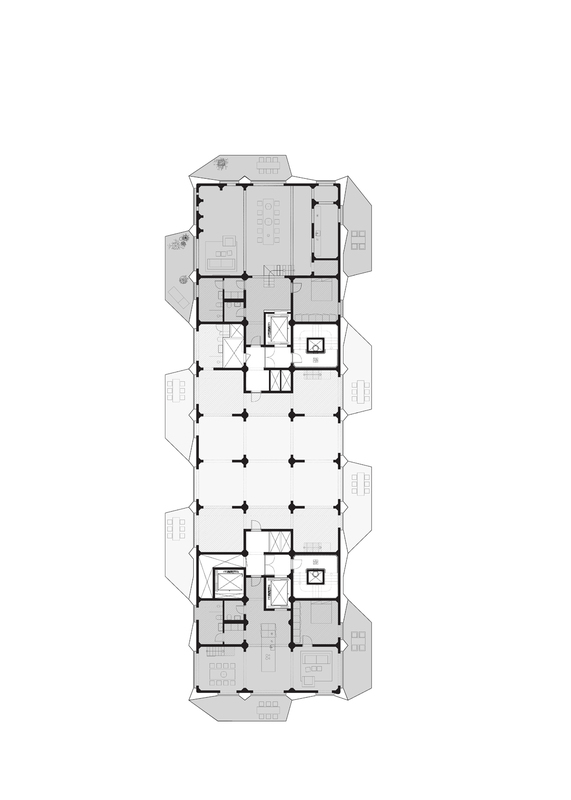 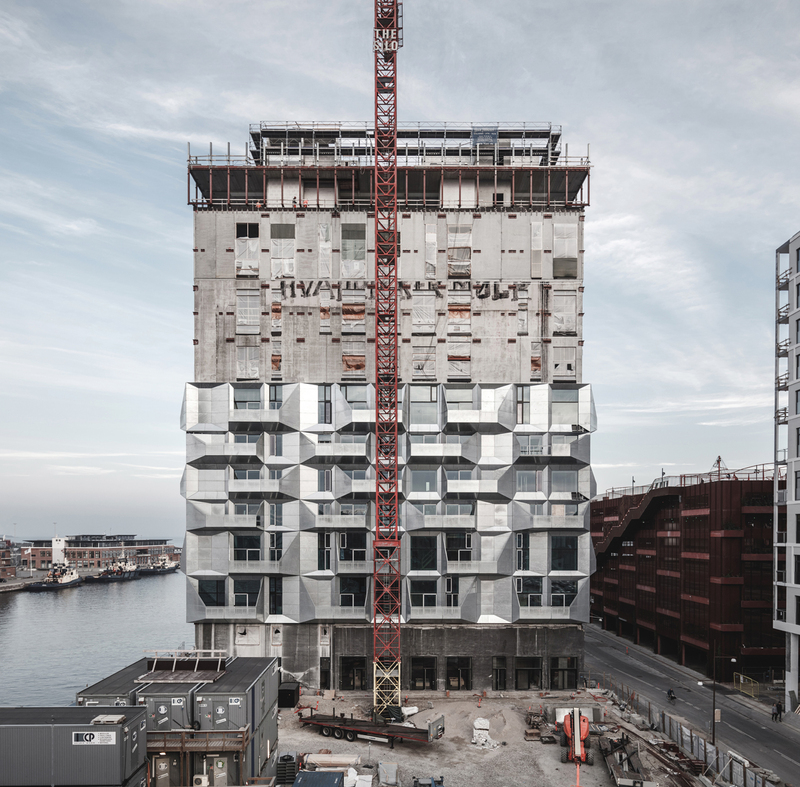 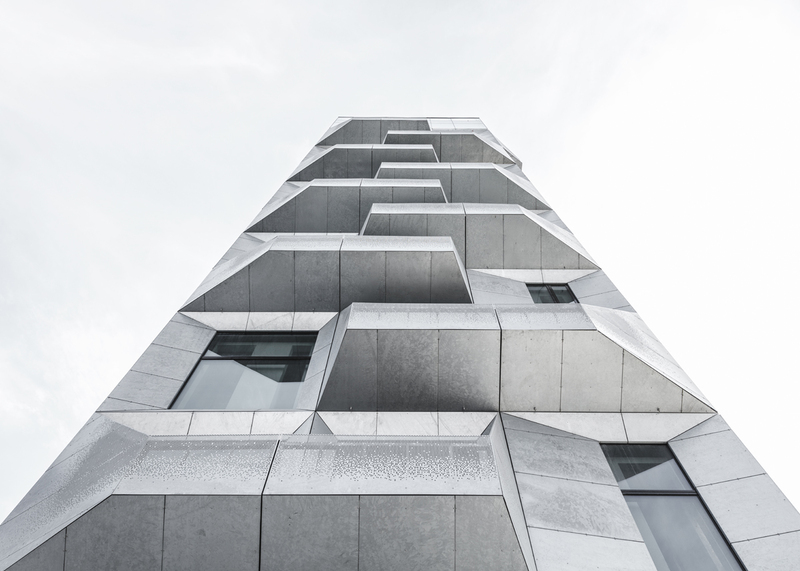 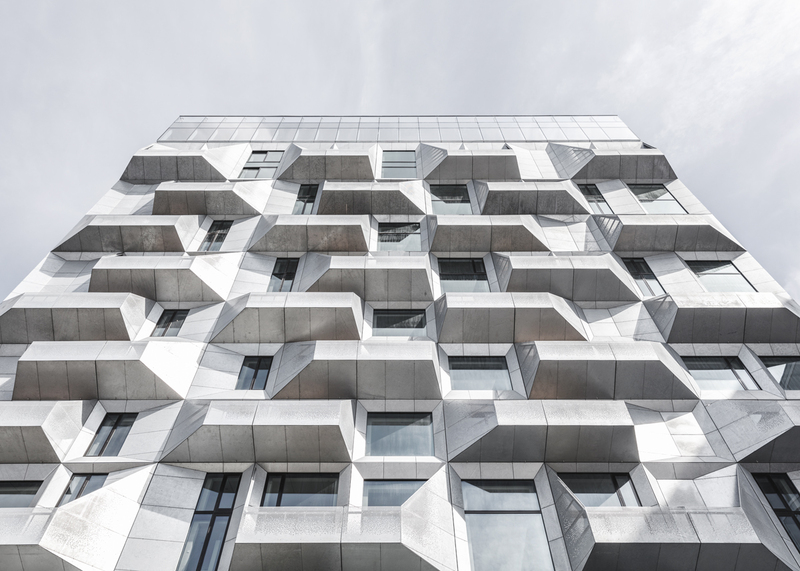 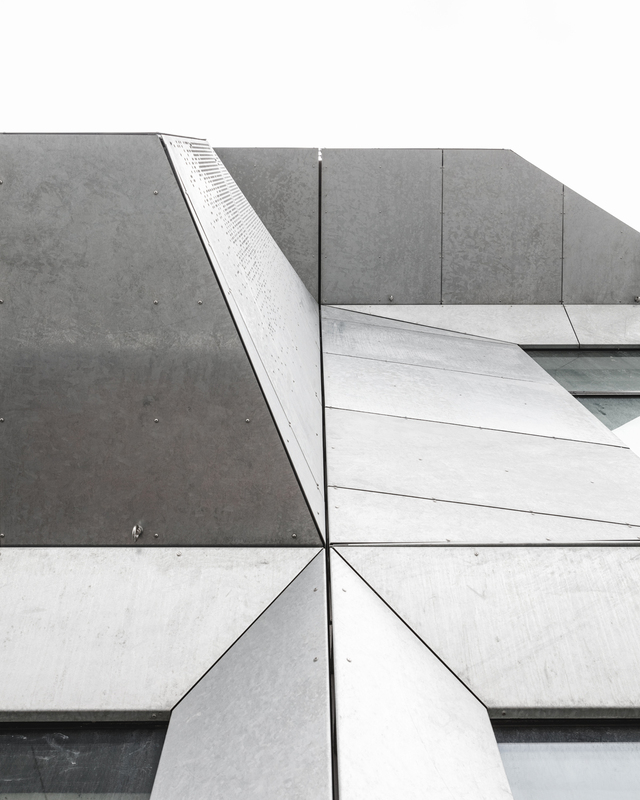 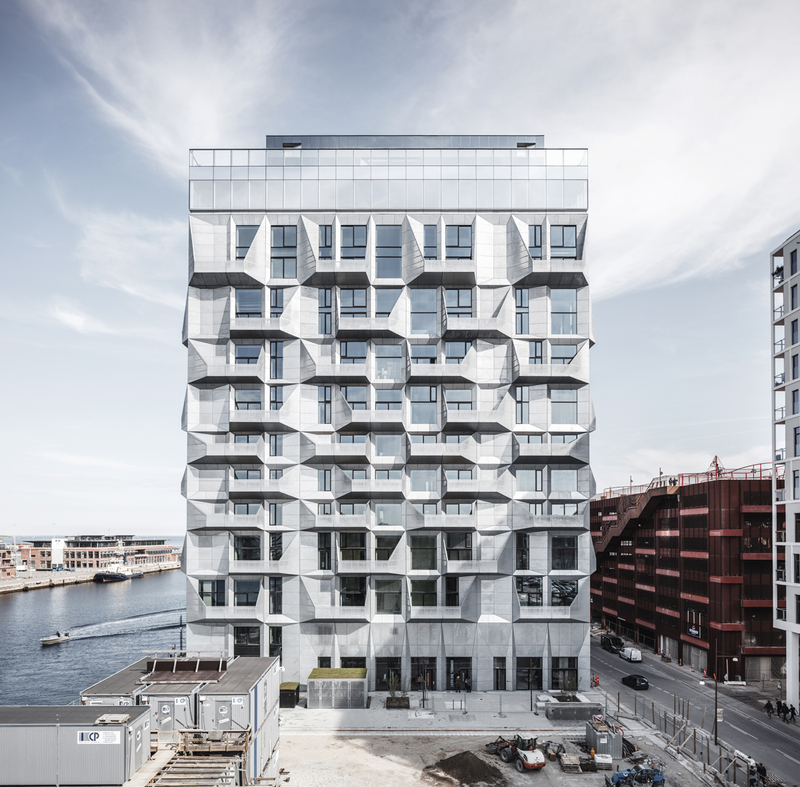 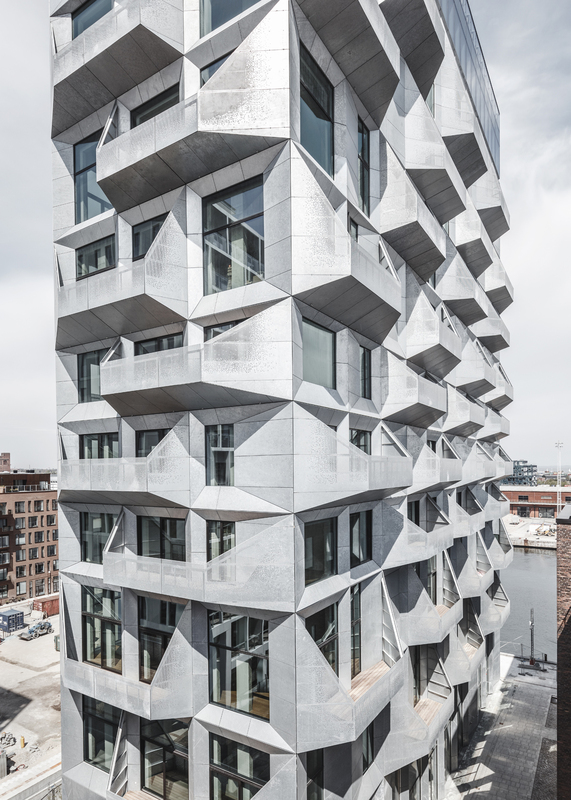 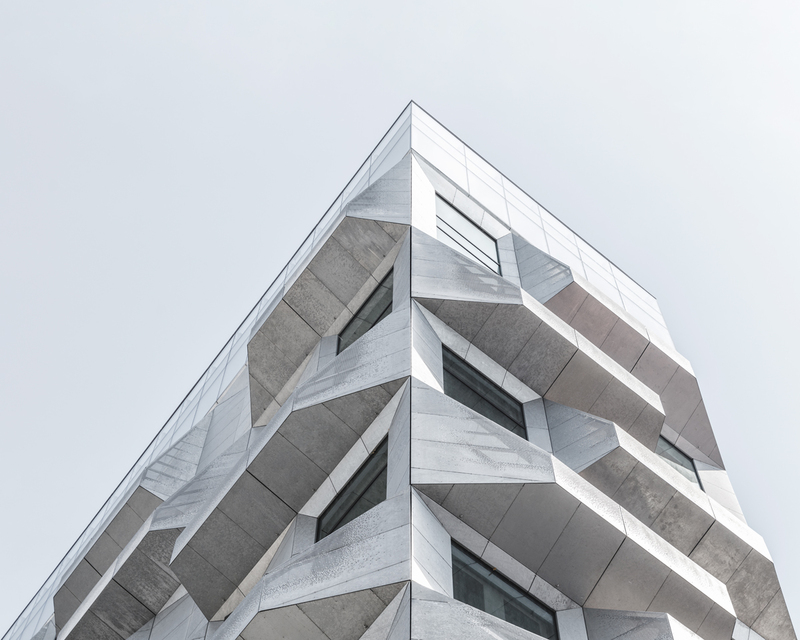 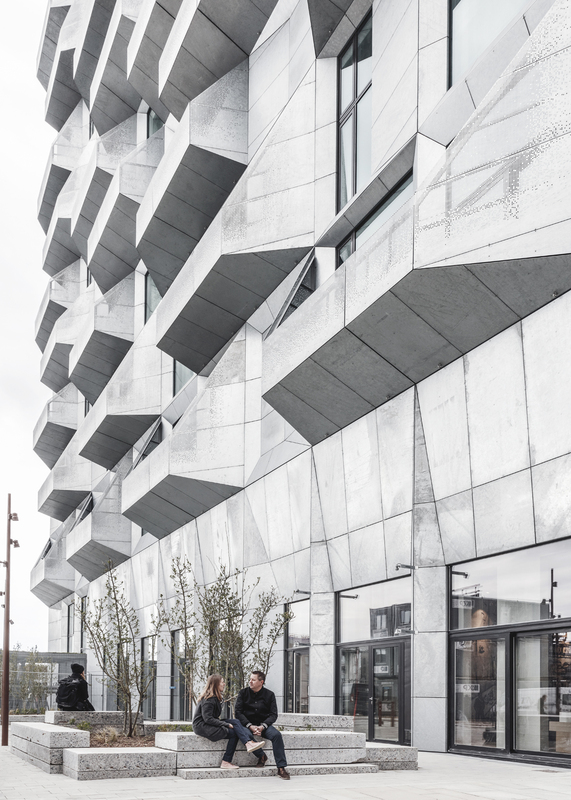 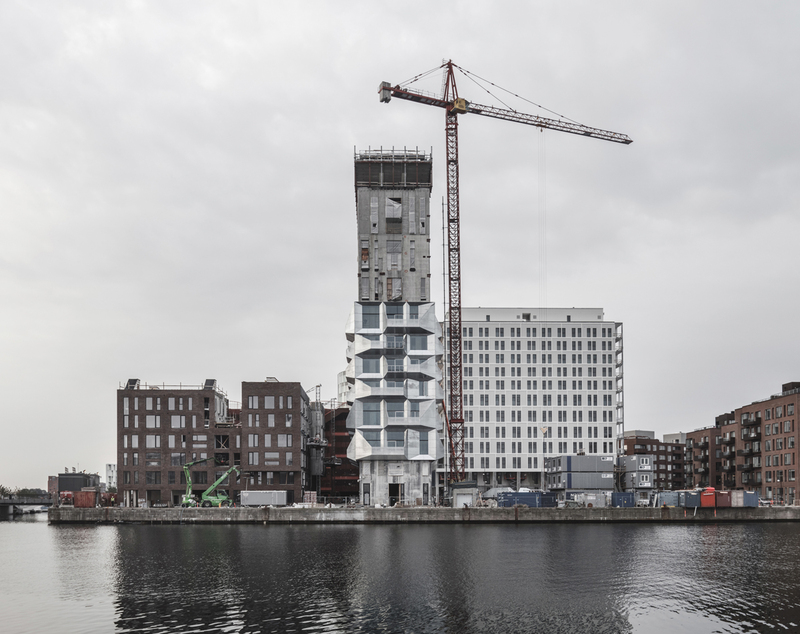 An angular faceted exterior facade made of galvanized steel has been installed to serve as a From storage container to urban focal point – Construction of The Silo completed in Copenhagen Photo: Rasmus Hjortshøj – COAST 2 climate shield. 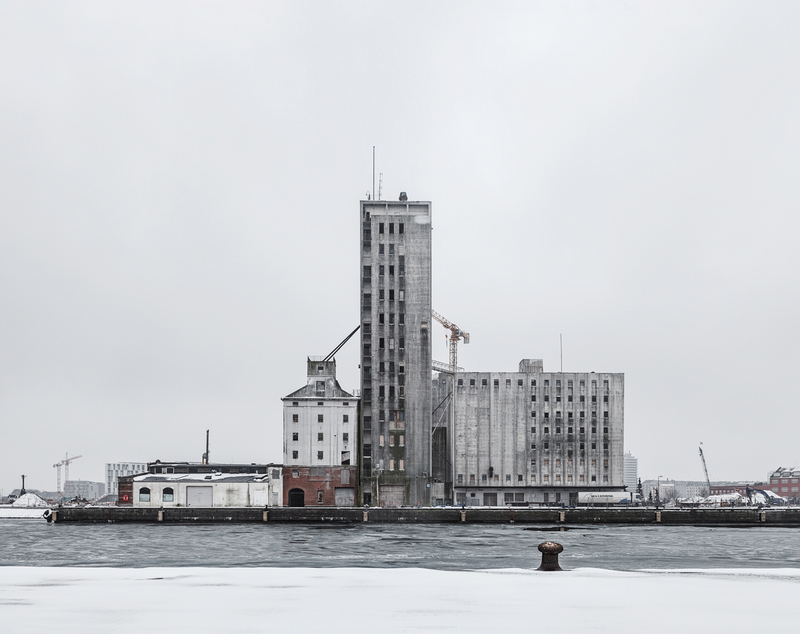 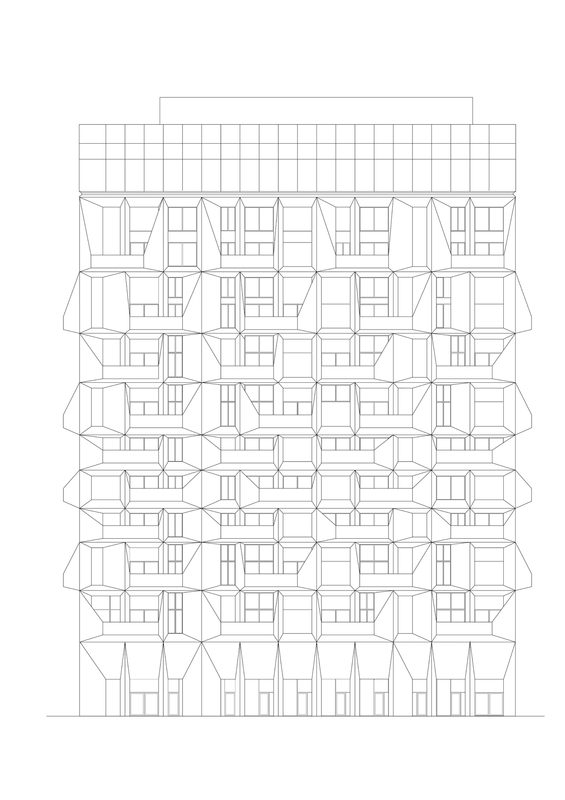 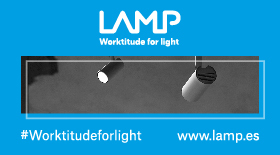 This has allowed the building’s characteristic slender tall shape to be maintained. 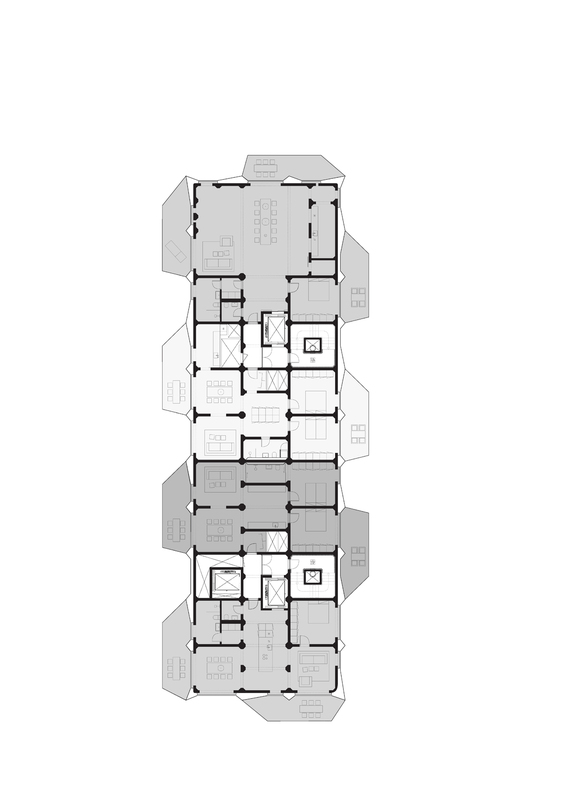 Both the top and lower levels have public access. 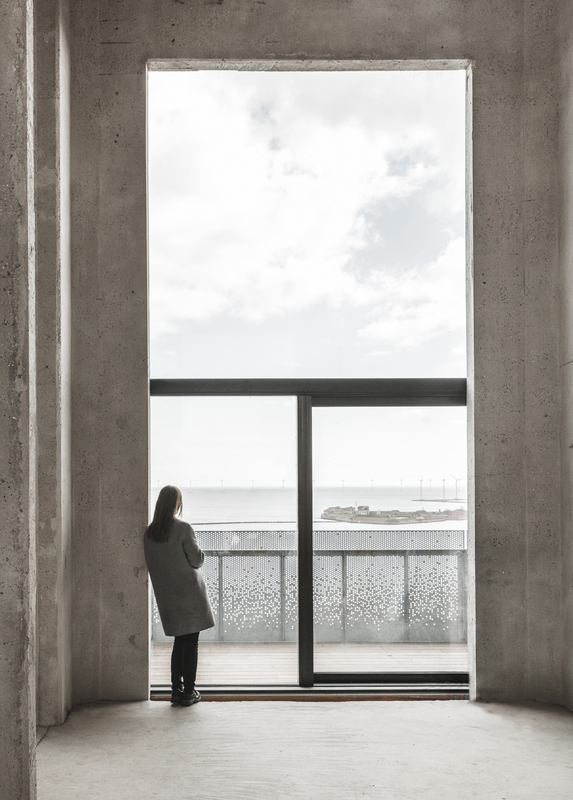 The top floor consists of a mirrored glass box housing a public restaurant with a 360-degree view of the city and the sea. 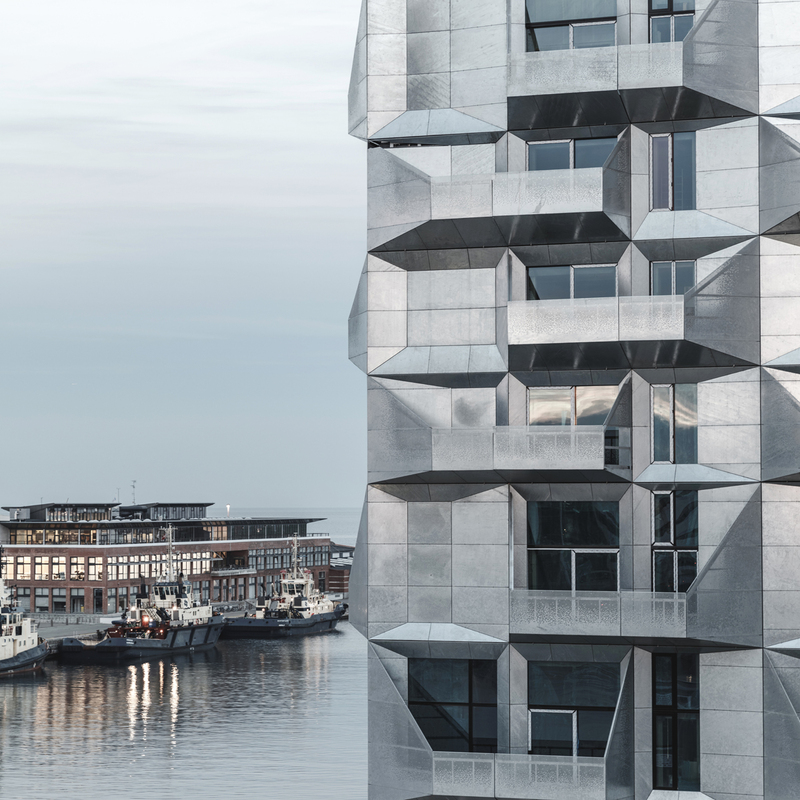 The glass facade mirrors the surroundings in the daytime, and at night it is reminiscent of a lantern. 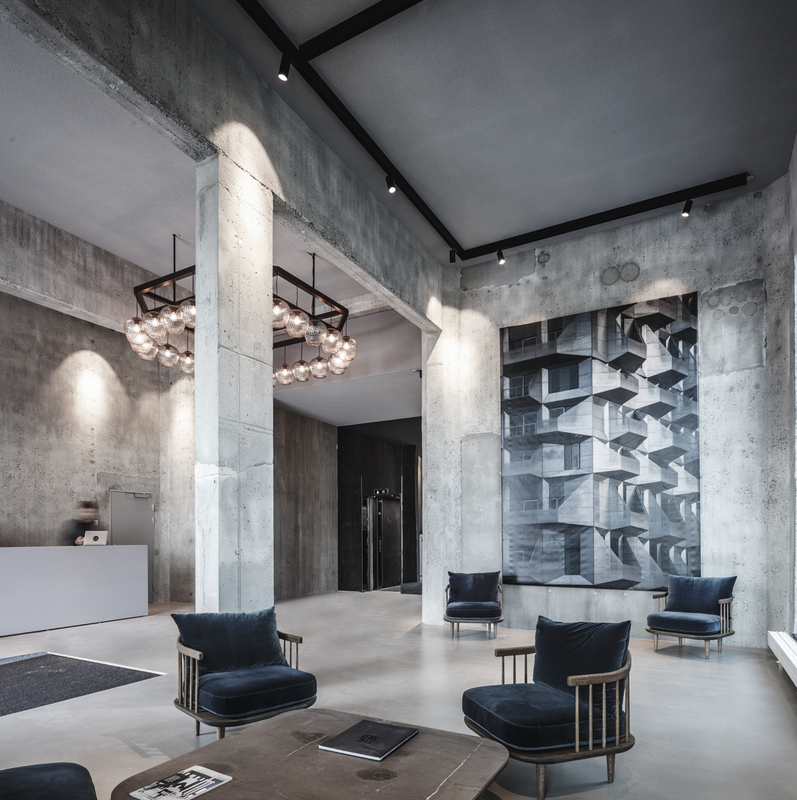 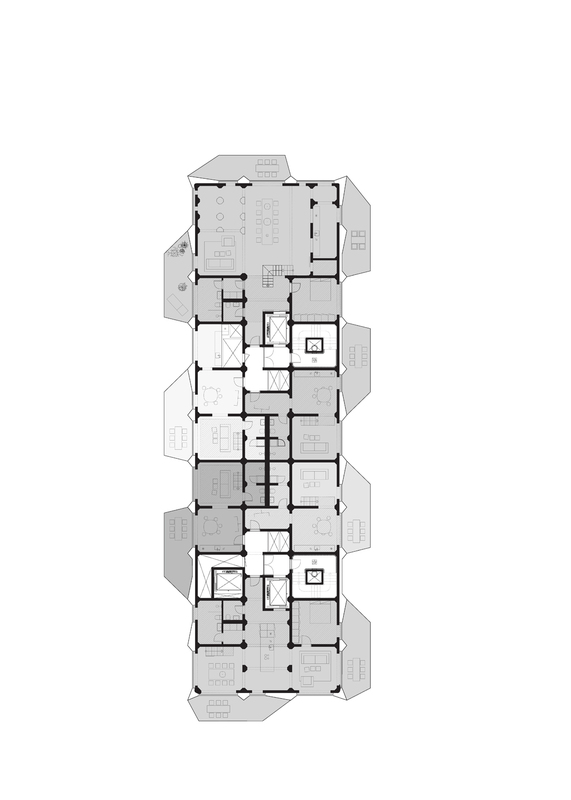 The ground floor is designed as a flexible event space.